How are those two concepts even in the same sentence? Isn’t the Amazon the home of creepy crawly tarantulas, spans of untouched green forest and unevolved local tribes? 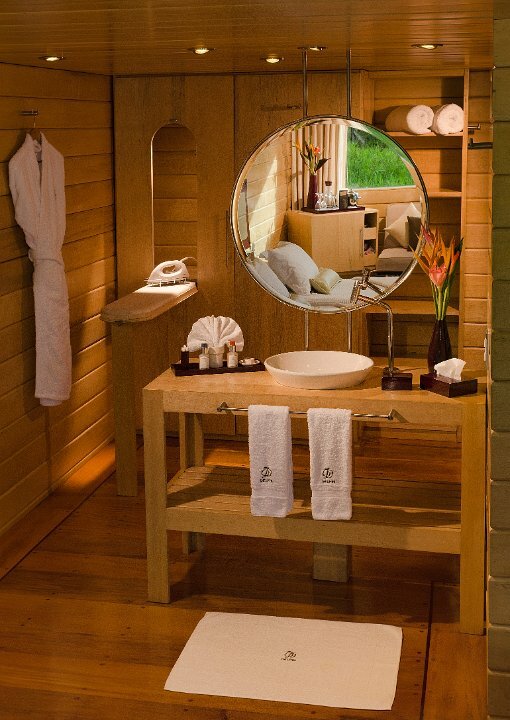 Luxury travel is all about the best, most exclusive and indulgent experiences in the world. It’s about finesse, the finer things in life and really investing (and sometimes splurging) on your escapes. Can these seemingly opposing ideas really co-exist? The answer to both those questions of course is yes. If your travel is inspired by untouched (some would say off the beaten track) regions and unique environments, it’s hard to go past the Amazon. 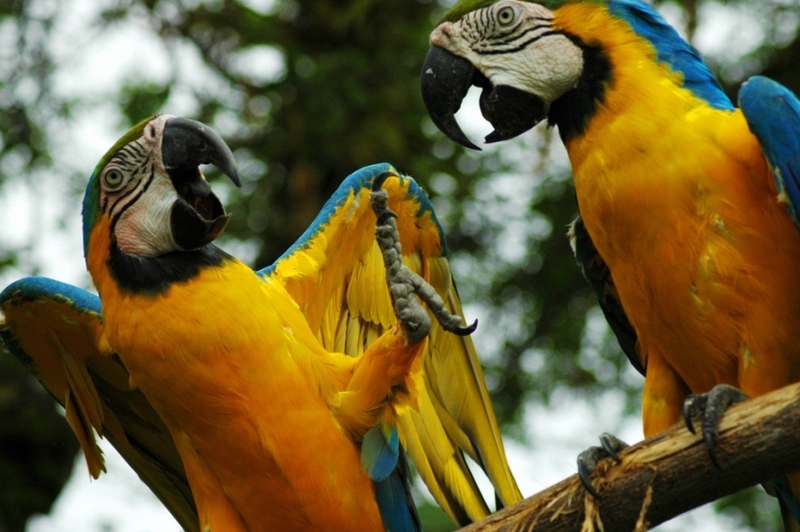 Home to millions of animal and plant species and spanning eight countries in South America (Brazil, Peru, Ecuador, Colombia, Bolivia, Venezuela, Guyana & Suriname,) the Amazon is definitely one of the continent’s most unique attractions. 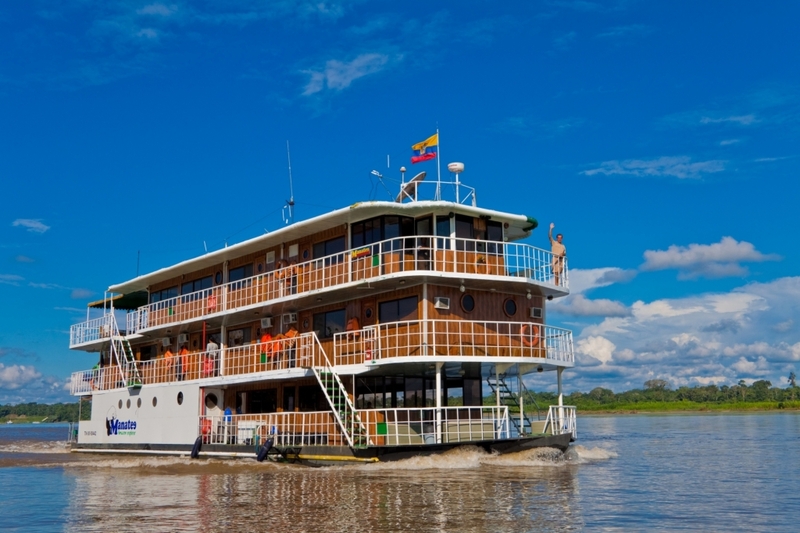 Travel to the Amazon is not however top of many South American travellers lists. Perhaps it’s because the mere thought of visiting somewhere so pristine may have scared off a traveller or two in the past who was concerned about their comfort. And of course the Amazon is (thankfully) not as developed as most cities, which is of course a major drawcard if you want see the beauty of this region and its bountiful examples of natural life. Luckily there are more options than ever in terms of amazon tours of this spectacular rainforest and river including several aimed at the intrepid luxury travellers. 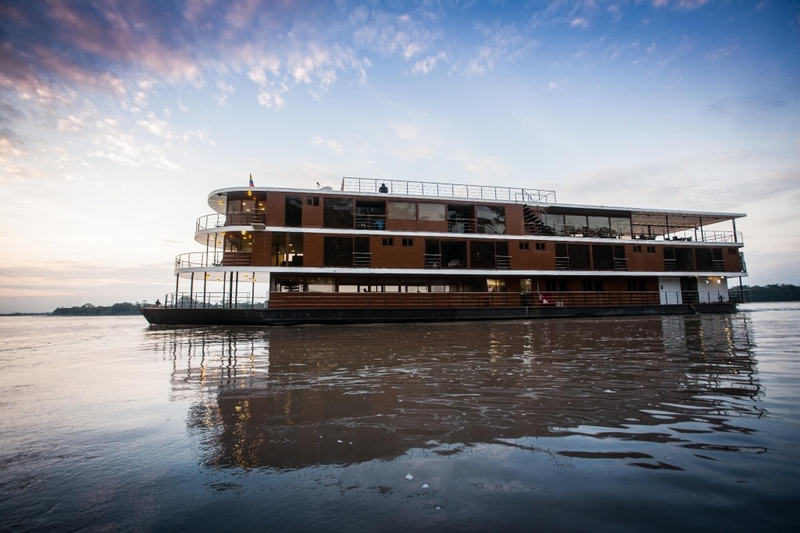 Amazon cruises now challenge traditional ecolodges as a fresh way to explore this iconic natural playground, with many of them centred around the biological reserves, basins and tributaries in northern Peru and Ecuador. Each different amazon region is of course home to its own distinct varieties of wildlife and plant species but all amazon tours offer an opportunity to immerse yourself in the natural surroundings, embark on a journey to discover wildlife and learn about the local environment and cultures through their own experience. 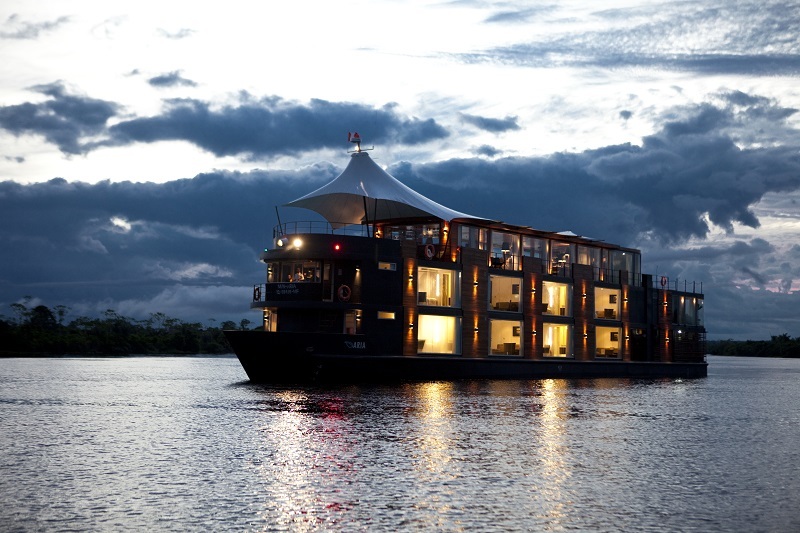 What makes luxury amazon cruises so special? Amazon cruises have recently been redefined through a number of touches usually reserved for luxury voyages and all aimed at enhancing each traveller’s unique discovery of it. 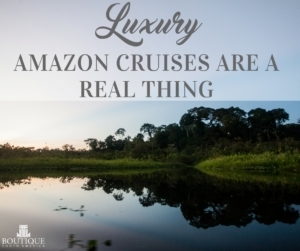 Luxury Amazon cruises tend to be smaller for several reasons and this fact alone offer considerable benefits for explorers. The more compact sized vessels will be able to navigate between thinner channels and waterways that a larger ship could not. This also means that even whilst sailing from place to place, you will be closer to the forest itself, offering more opportunities for wildlife viewing on the shore rather than hours of just seeing the water and river around you. A smaller number of people onboard undoubtedly offers a more intimate journey and the capacity usually varies between 10 -40 passengers. So you will have less people per guide and your chances of running into a crowd in such a vast place is unlikely. Any good Amazon experience will be an interactive one. Amazon cruising is not like the mega-cruises where your focus is on the many onboard entertainment and social areas. 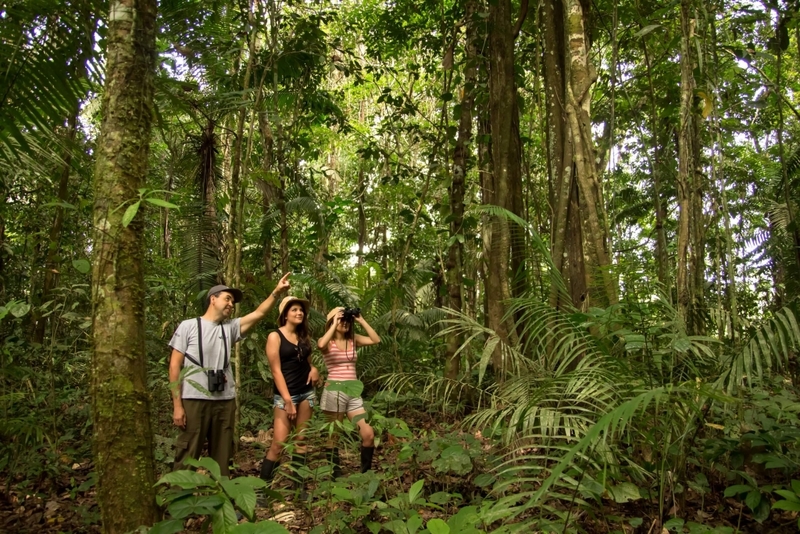 The environment here is front and centre of your focus so all your activities are based around seeing more of the Amazon rainforest and river, and learning by doing. 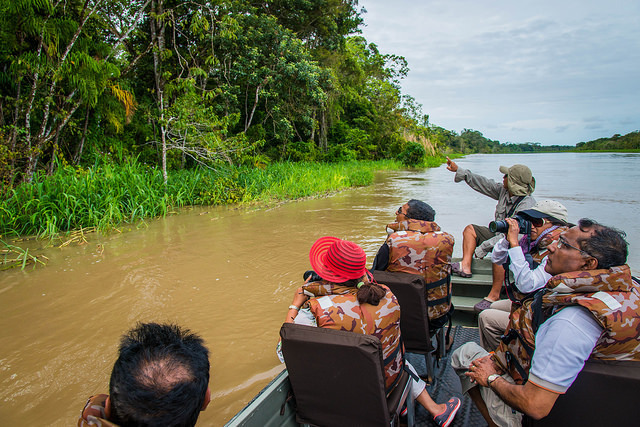 Most amazon cruise programs combine daily or twice daily excursions (a mixture of walks, hikes or motorised boat rides) to get as close as the wildlife as possible. Your time onboard the vessel will include lectures and briefing sessions by the specialist bio-expert guides on board who will lead the way with your wildlife spotting to make it a unique journey. 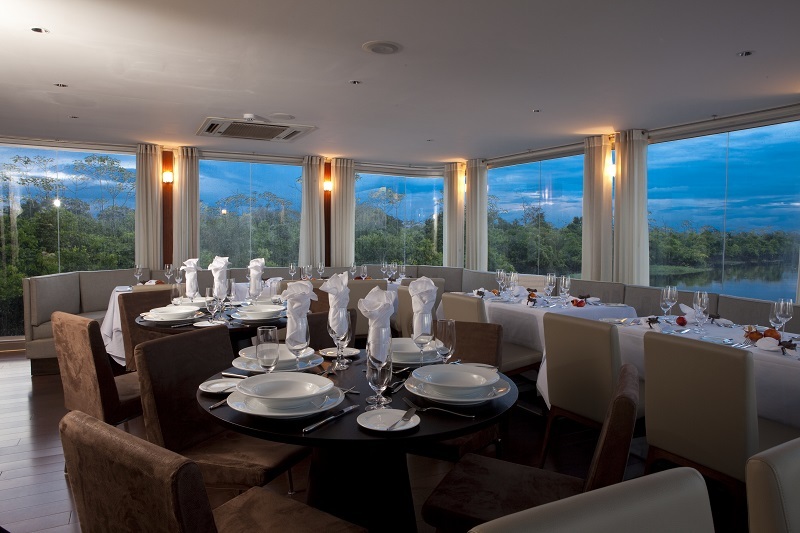 Many of the new wave of amazon cruises have been meticulously designed for comfort and style. Roomy cabins, various social areas and sometimes indoor and outdoor dining are just some of the features you can expect on a water based amazon adventure. 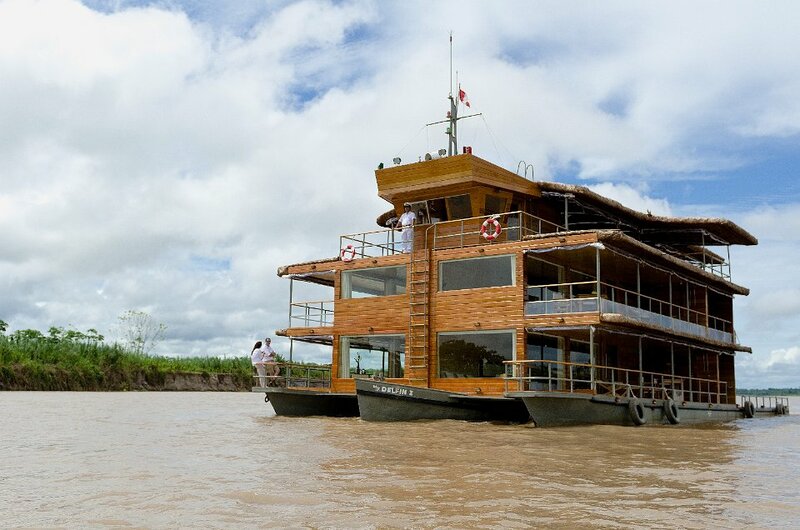 Some amazon cruises at the higher end of the scale have even added a gourmet focus, blending traditional dishes with local amazonian produce or creating their menus with five star chefs to make their dining experience as captivating as their daily discoveries. If wildlife or immersing yourself in your surrounds are ever the reasons behind your desire to travel then an Amazon adventure should be considered. Below is a list of some of the best ways to explore this beautifully bio-diverse region. 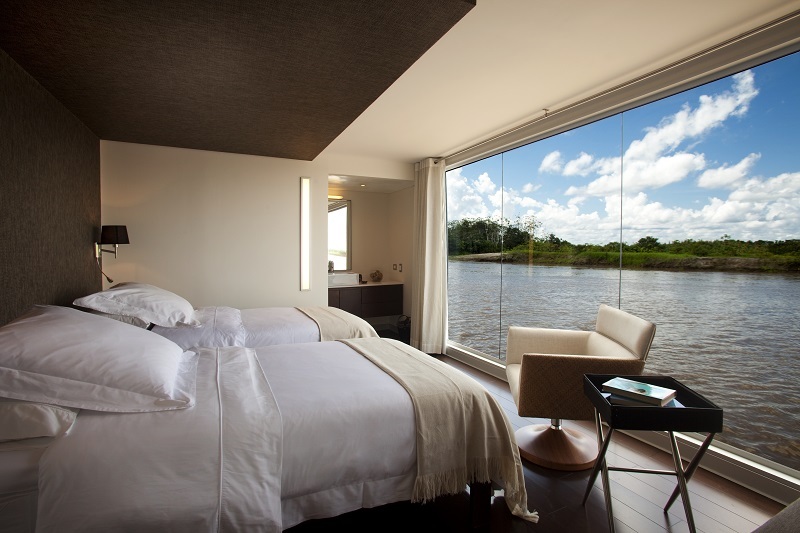 Highlights: 16 carefully appointed design suites with floor to ceiling windows, outdoor jacuzzi, spa services, onboard gym plus gourmet dining make the Aria a true 5 star experience of the Peruvian Amazon. Highlights: Choose from 14 standard or 4 deluxe suites (with balconies,) all air-conditioned with sitting areas and panoramic windows, indoor and outdoor dining, two open air jacuzzis, and lounge area. An overnight Glamping experience is also available. Highlights: Your choice of oversized cabins with private balconies- either a suite or master suite (with your personal jacuzzi) spread across two decks, personalised attention with thrice daily cabin service, dining room, open air lounge bar and beautifully designed observation areas. Highlights: Range of cabin bedding configurations all air-conditioned and with ensuite, indoor and outdoor dining, lounge and sundeck areas. Highlights: One of the smallest and most intimate vessels with only 4 cabins, king beds, floor to ceiling windows, sundeck and dining area, the Cattleya is a boutique 4 star vessel.